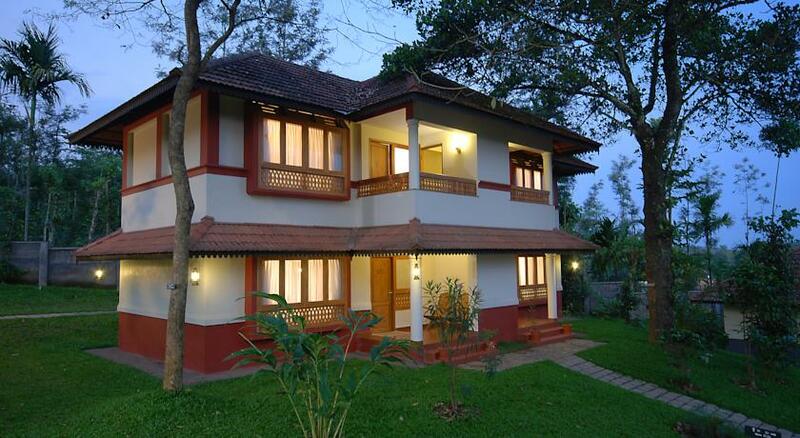 Greenwoods is a delightful luxury Kerala nature resort located in Kumily, a little town surrounded by dense forests and spice laden hill slopes. 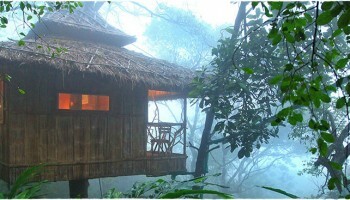 Beneath a lush canopy of tropical trees, there is much to discover and experience here-venerable trees generously endowed with fruit, dazzling shades of green, the melody of birds, dancing shadows. 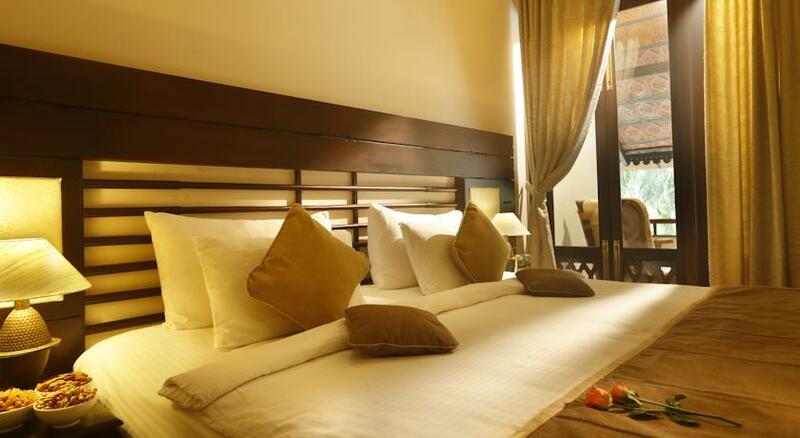 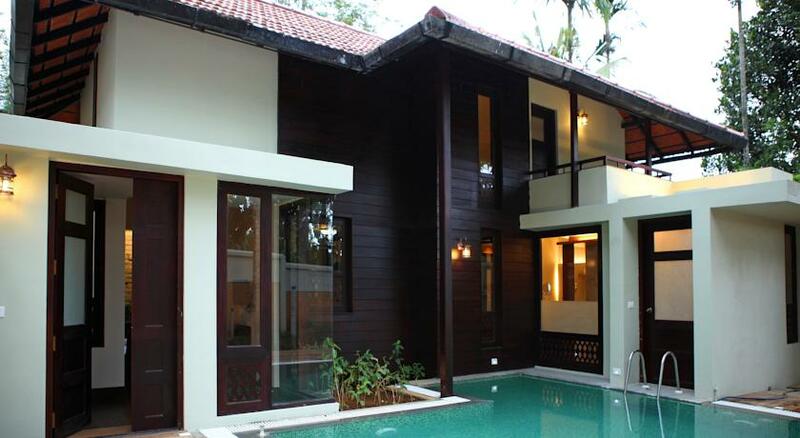 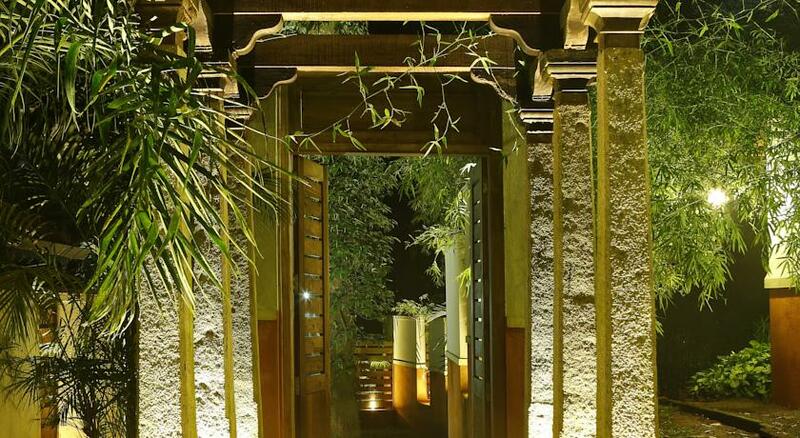 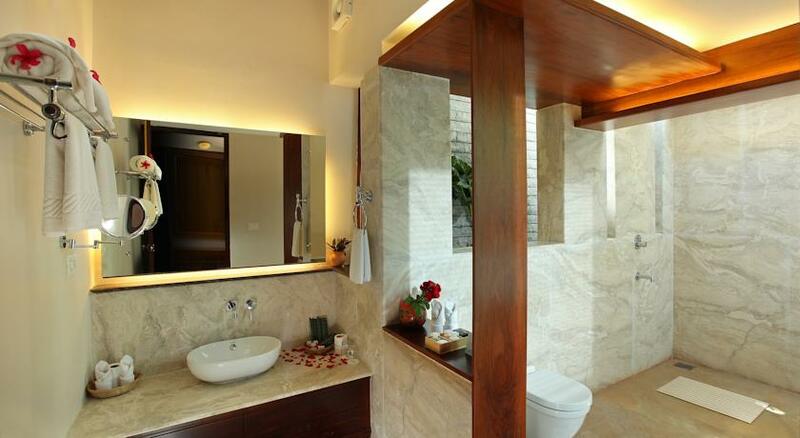 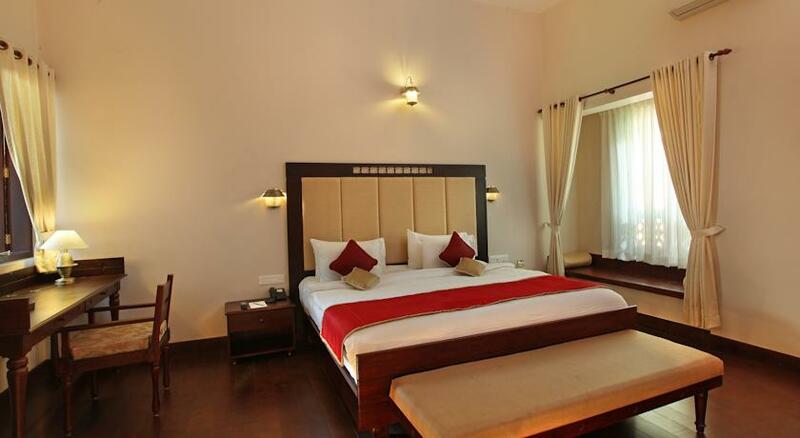 The rooms of the resort are classified as Rithika, Kanana, Aranya, Premium Suite, Pool Suit and Presidential Villa. In-room amenities include direct-dial, satellite television, mini-bar, tea/coffee maker and Wi-Fi. 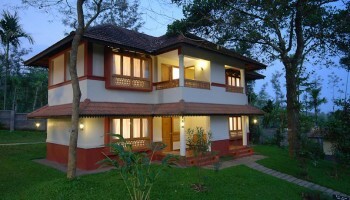 Small balconies and porches in the rooms add to the convenience of guests. 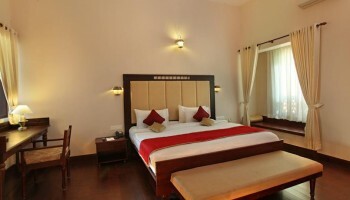 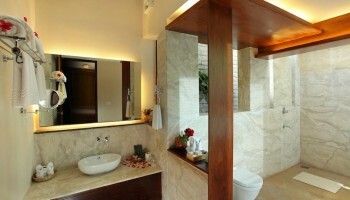 The resort offers a comprehensive range of facilities to meet the requirements of corporate and leisure travellers. 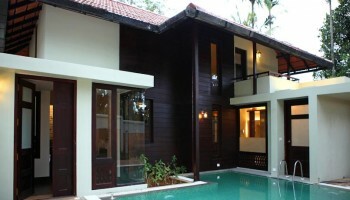 These include gym, children’s play area, recreation centre, trampoline and curio shop. 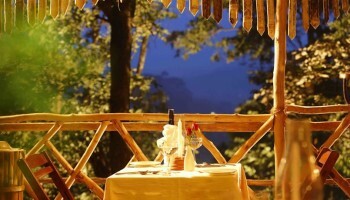 Guests can also enjoy a range of outdoor activities at this resort. 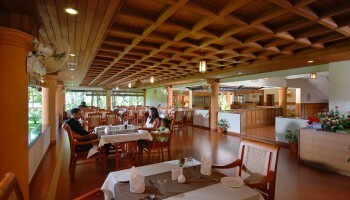 For corporate travellers, there is a well-equipped business centre and a large conference hall.Enjoy beautiful views of the surroundings while relishing gourmet food at Amrutham – the multi-cuisine restaurant. 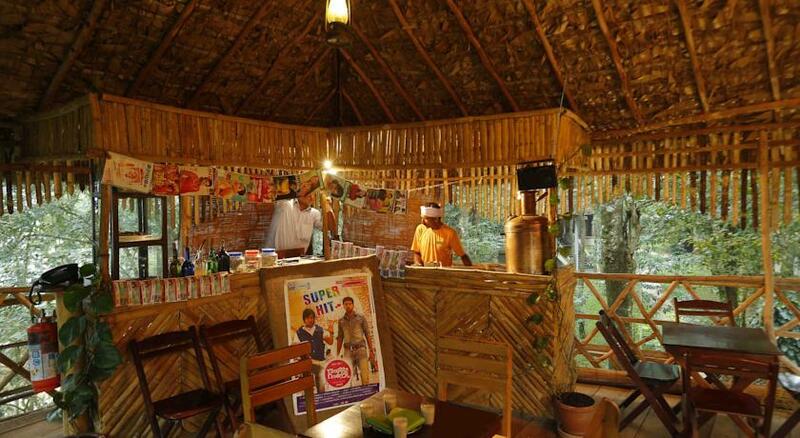 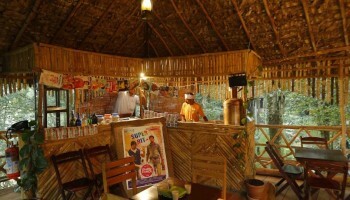 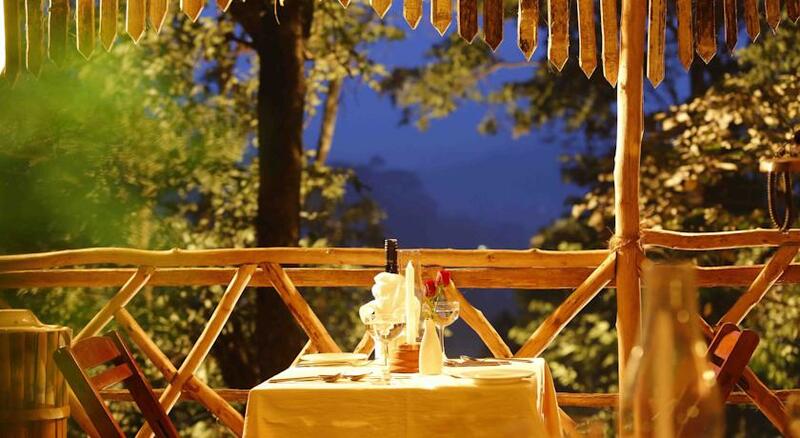 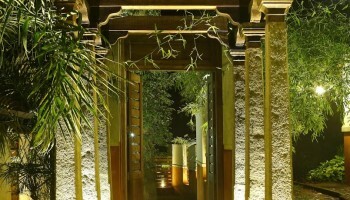 Those seeking a few moments of repose, must visit Ambara – the all day coffee shop built like a tree shack. 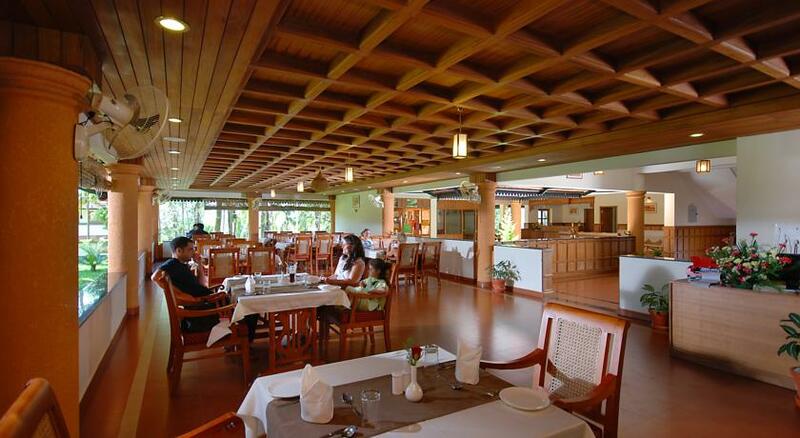 It serves delectable tea and mouth-watering snacks.The Periyar National Park, noted for boating, bird watching and herds of wild elephants, is located close to this hotel.